You don’t know how long I’ve been looking for good made in USA sunglasses. I’ve heard that Oakley sunglasses are made in USA (at least some varieties) but I have not been able to get in touch with their PR department (too smug maybe?). They’re not really my style either. Anyway, I was recently contacted by a PR company representing Randolph Engineering. Randolph Engineering makes a variety of sunglasses and shooting eyewear right here in Massachusetts. They actually supply our military with sunglasses as well. 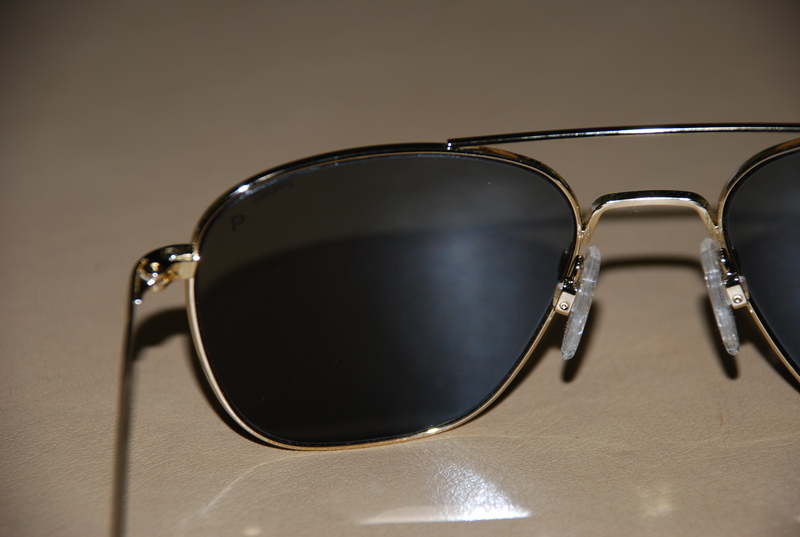 For instance, their Aviator model is standard-issue for Army helicopter pilots and Navy pilots. As suppliers to our armed forces, they have patriotically resisted the temptation to offshore all their production to China and make a cheap product cheaply. The glasses are all hand-soldered and assembled in their Massachusetts plant. Even the frames’ metal parts are stamped by them and not outsourced. Other parts, such as nose pads, are imported, but that’s really not bad considering how things are these days. 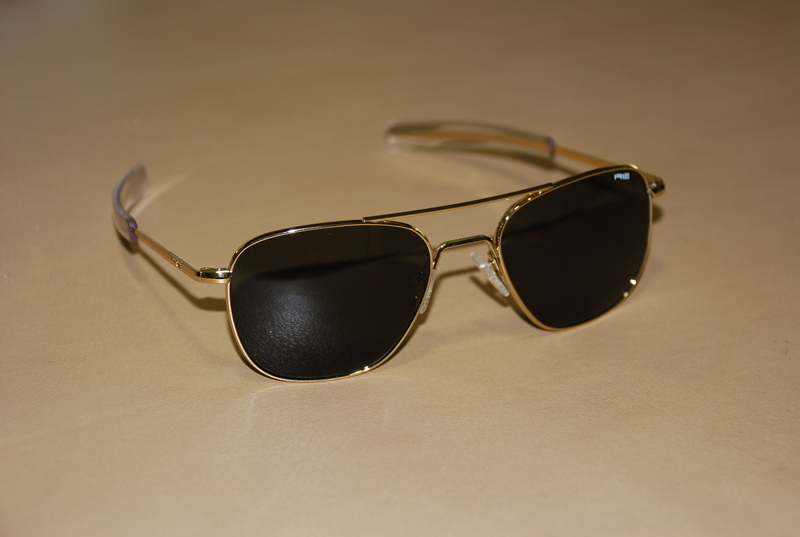 I am reviewing the “Ad Man” gold rim sunglasses from the “Untouchables” collection by Randolph. This is definitely a quality product. They feel appropriately heavy (just enough, not too much) in my hand and sturdy with movement. There is no feeling of flimsiness or looseness. The fit is perfect without needing adjustment and the look is definitely classic and classy. I would highly recommend these sunglasses (or I wouldn’t be reviewing them on my blog!) You can find a retailer for Randolph through RandolphUSA.com. On doing a brief Google search, aside from the company website, there were multiple listings on ebay stores and a handful of retailers. There were also multiple local brick and mortar retailers when I used the retailer locator function on RandolphUSA.com. Generally the prices range around $100. So, if you want to be patriotic when buying sunglasses, you can buy Randolph Engineering!